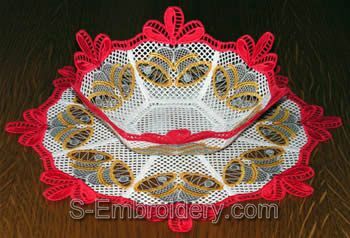 A nice set of Christmas bells decorated freestanding lace bowl and doily. 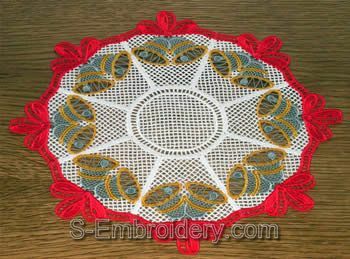 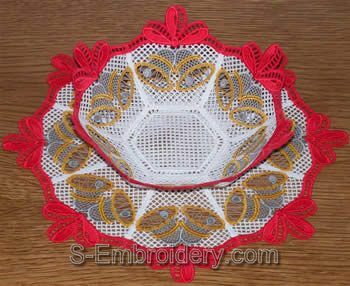 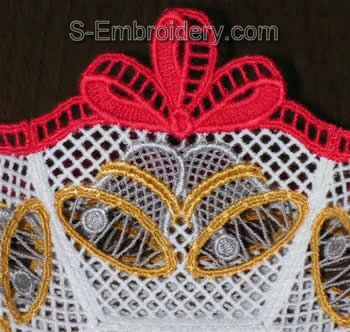 The set includes 4 embroidery files which will produce 1 free standing lace bowl and 1 doily. 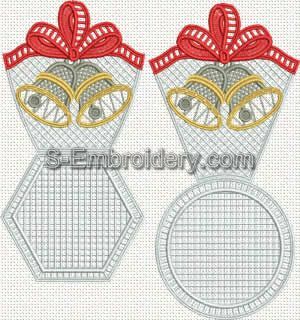 The set comes with a tutorial in PDF format.